If your dog is suddenly scared of something outside, you need to find out why that’s the case. Once you figure out what might be scaring your dog, it’s likely that you can retrain their behavior so they’ll enjoy going outside again. For some dogs, being outside of their home can cause fear and anxiety. This is normal for a puppy or a dog who has been through a traumatic experience, such as a rescue dog. If they used to like the outdoors until now, it’s likely that something recently happened to trigger their fear. Dogs develop strong associations with items, places, sounds, etc. Something could have happened to them that you didn’t even realize at the time, such as going for a walk when it was raining heavily. But, just as they learned to associate the scary thing with being outdoors, you can work to desensitize them to it. Then, they will associate going outside with something that is fun and enjoyable. Spending time outdoors should be something to look forward to for your dog. The first thing to do is to recognize their fear and try to determine what caused it. Being able to remove that fear or associate it with something different can make all the difference. Not all dogs show fear in the same way. For example, your dog may refuse to go outside, no matter how much you encourage them (or try to tug on their leash). Others may go out but will cower low to the ground or have their tail tucked between their legs. Some might even show severe signs of stress and anxiety, like heavy panting and restlessness. There’s a certain process that needs to go along with retraining your dog to love the outdoors again. Forcing them to do so on your terms and time isn’t a good idea and can result in lasting trauma to your dog’s mental state. Let’s take a look at common reasons why your dog might be scared to go outside so that you can find the solution. One of the primary reasons your pet might be reluctant to go outside is because of loud or strange sounds. Dogs hear at a higher frequency range than humans. So, a sound that might seem comfortable to a person can be deafening and scary to them. If your dog is afraid to go outside at night, or if your dog is suddenly scared of the backyard, there’s a good chance they may have heard something out there that was frightening for them. This could be a variety of things, some of which can be more obvious than others. Unexpected noises like thunder, fireworks, etc. It only takes one instance of your dog hearing a scary noise for them to associate with being outside with something negative. You may not even know which noise caused the problem in the first place. Thankfully, that doesn’t necessarily matter. If you do have an idea which noise caused your dog to become frightened, you can take measures to remove it. But, if you think a loud noise is what caused your dog to be scared at night or scared of their backyard, introducing them slowly back into your yard is the best option. As explained by the Animal Humane Society, this is best done through a process called desensitization. Desensitization is the practice of gradually reintroducing your dog to the yard instead of forcing them to face their fears all at once. It can take a lot of time and patience, but it’s a great solution for fixing the problem. To practice desensitization in the backyard from loud noises, start with small steps. Open the door for your dog for a few minutes. If they choose to go out, that’s a good start. If not, close the door and try again later. Take them out for a few minutes at a time, when the neighborhood is quiet. You should be able to pick up on their stress cues and if they’re feeling anxious. If they are, take them back inside. The idea is to slowly and consistently show them there’s nothing to be afraid of outside. So, the next time they do hear a loud noise, they won’t be so frightened because they know they’re safe outdoors. Just as dogs can recall being scared of loud noises for a long time, they can also remember bad experiences. This could happen from something like getting bitten by an ant in the yard to encountering a mean dog on a walk. 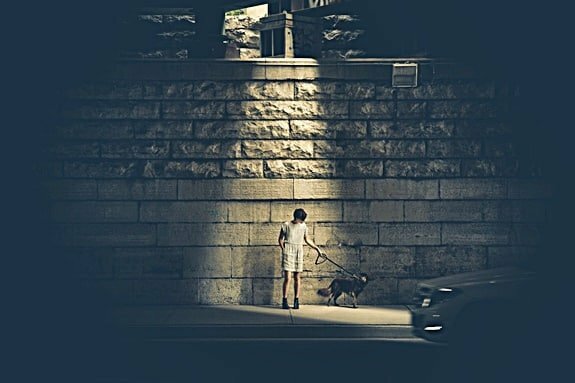 Dogs can easily make the connection between a frightful situation and when/where it happened. If your dog is anxious on walks or seems hesitant, think about any negative experiences they may have had. Obviously, if another animal or person was involved, you’ll want to keep them away from that trigger. Desensitization works well for remedying this problem, too. If your dog doesn’t want to go on walks anymore, you should start slowly with a walk around the block. For many dogs, they may even begin to perk up and calm down after just one walk. For others, it can take a while. Don’t give up and pay attention to your dog’s stress signals for when you might need to take them inside. If your puppy or rescue dog is afraid to go outside, it could be because they aren’t used to seeing the world through a positive lens. As a result, it can feel huge, overwhelming, and scary. Before a dog hits 14 weeks old, they should be introduced to the outside world. This includes different places, people, and other dogs. Exposure to the world needs to be a gentle procedure, to let the dog know there is nothing to be scared of. Sessions should be short and filled with positivity and encouragement. Puppies who don’t get this socialization can have fears of being outdoors or specific aspects of it including people or other dogs. You can socialize a dog at any age. But, it can become much more difficult to do once your dog is older and already has a particular view of the world and the things in it. Teaching an adult dog socialization can take a long time, and a lot of patience, but it can be done. If your rescue dog is afraid to go outside or doesn’t seem to enjoy walks with you, it could just be because they aren’t used to it. Dogs who aren’t leash trained can find it scary for a while if they have to learn about it when they’re older. They might also have bad experiences on a leash if a previous owner pulled on them too hard, etc. 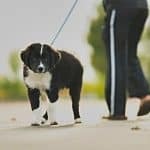 Whether your dog is new to leash walking or they associate it with something negative, you can retrain them to make it a positive experience for both of you. The best approach is to go slowly. Start with a walk around the block and increase it each time. You may even want to invest in a harness that keeps your dog from choking or gasping for air if they start to pull. Did you make a move from a rural area to the big city and now your dog refuses to go to the bathroom outside? Is your new yard bigger or smaller? Were other dogs there before? There are so many factors that come into play when you move to a new place with your dog. It can take time for them to get used to their new surroundings. As they do, you might see them struggling with some fear and uncertainty. This can have a lot to do with how different the surroundings are from the previous home. If there are new and unfamiliar noises, you already know that can make your dog nervous. If another dog lived there before, your dog might start to get anxious when they go out and smell the other canine. If there are other dogs next door or nearby, that can also affect their fear. Introducing a new dog to your family can have the same effect on your pet. But, it may not be restricted to just going outside. Making a transition to a new home can be tough on a dog, and it might seem like they’re scared of everything. If your dog is in pain, they can have a variety of different symptoms. Sometimes, it could be something as simple as overgrown toenails. Or, they may have something wrong with their paw that makes it hard for them to walk. They may also be dealing with severe internal health issue. Thankfully, there are usually other symptoms that go along with health problems. If your dog seems lethargic and isn’t eating or drinking, it’s a good idea to take them to the vet to get checked out. They could also be scared of going outside because something hurt them while they were out. Perhaps they were bitten by a bug or another animal or stepped on a stick, thorns, etc. Again, the best thing to do if that happens to be the case is to slowly and calmly re-introduce them to going outside to show them it’s a safe place. Senior dogs can go through different changes mentally and physically as they age. A dog you’ve had for years may suddenly act scared of going in their backyard. Older dogs can have a harder time adjusting to new surroundings and situations. So, if you recently moved or changed something in the yard, consider that when trying to decide what’s scaring them. Senior dogs can also be more prone to anxiety when it comes to associating something negative with being outside. If they somehow got injured or were scared by another animal, it can be harder for an old dog to let go of that fear than a younger one. Finally, the fear could be caused by one of the ‘natural’ issues of aging. Many senior dogs develop eye problems. Blurred or impaired vision can cause them to become more anxious, especially outside. Some dogs even develop something called canine cognitive dysfunction. This is much like Alzheimer’s Disease in humans. As you might expect, if your dog isn’t fully capable of understanding or remembering what’s going on around them, it can be quite scary! Dogs over the age of seven should have a yearly wellness exam with their veterinarian. By doing this, you can stay on top of any health changes in your senior dog, which will allow you to help them get treatment if it’s needed. If you have a routine for letting your dog out, think about what it covers. It could be the routine itself that is causing your dog some fear. Again, it’s all about association. Do you have slippery floors that lead to your door? Does your dog often slip on them? It could be the floors they’re afraid of and not being outside itself. Has your dog become scared of going up your stairs? If your dog has ever been hurt, or heard a loud noise, or had a bad experience in your ‘going outside’ routine, it may be the routine that’s the problem. Try switching things up or implementing a new routine. If you can take them outside through a different door, that could be helpful, too. Thankfully, this is one of the most comfortable fears to break because by changing just a few simple things, you should be able to dissociate the routine with the fear. Electric fences are popular options for people who want to let their dog roam free in the yard but want to keep them within parameters. They work by giving a shock to a special collar around your dog’s neck whenever they go over the invisible fence. As a result, they learn not to go past a certain point in the yard. Electric fences can be useful, but they can be traumatic for some dogs. If your dog starts to associate going outside with getting shocked, they may begin to fear every inch of the yard, not just the areas they aren’t supposed to go over. Dogs can react differently to this type of training. If you start to notice that your dog seems scared to go out or move about the yard, using an electric fence or a shock collar may not be the best way to keep them where you want them. Maybe your dog seems entirely comfortable with a passing storm when they’re inside. But, if they’ve ever been outside in a thunderstorm, or even in the rain, it could create a negative association with the outdoors. Not only can the sights and sounds of lightning and thunder frighten your dog and over-stimulate them, but rain itself can be frightening. Most dogs don’t like the feeling of rain hitting them. So, while it might be nothing more than an annoyance for people, it can be somewhat traumatizing for a dog, especially when they’re dealing with other stimuli, too. It’s not a good idea to let your dog out during a storm anyway. But, if they happened to be out when a rumble of thunder passed by, it could be enough to make them afraid of being outside. The best thing to do in this situation is to be patient and slowly introduce them to going outside again when it’s quiet and sunny. Most of the reasons for your dog’s fear can be helped with some retraining. But, you have to go about that retraining the right way. In most cases, it can take time and patience. 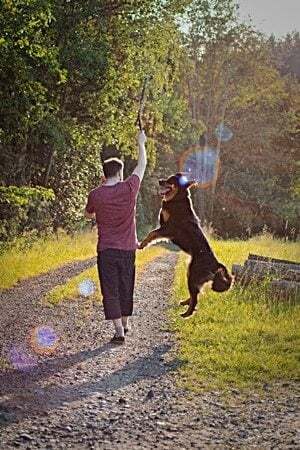 Don’t force them: One of the main errors owners can make is trying to pull their dog out on a leash, or even carry them outside. You might get the dog out, but you could be creating an even more traumatic event for them in doing so. It could cause your dog to panic, in which case they aren’t learning anything to get over the fear. 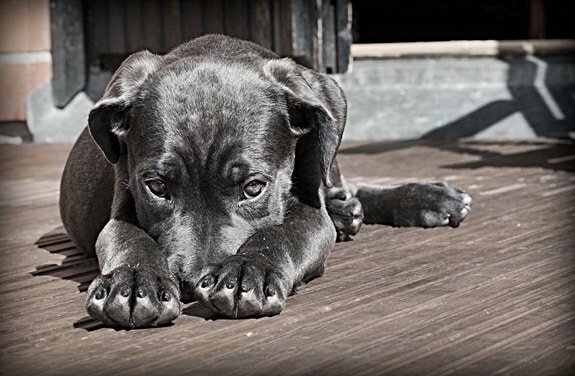 Don’t punish them: Never scold your dog if they seem scared to go outside. They probably won’t associate the punishment with the behavior anyway. And, it could make the experience even scarier for them. Don’t ‘flood’ them: As people, we’re often told to ‘face our fears.’ This is commonly called flooding. You should never flood your dog with whatever they might be afraid of outside. Dogs don’t respond to facing their fears by overcoming them most of the time. Instead, they need to be assured that they’ll be safe when they go out. Desensitizing your dog to whatever might be scaring them to go outside is a great start. For some dogs, though, it can take a little more coaxing to be comfortable in the great outdoors again. 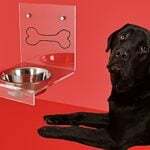 Create a feeding station outside – start inside and move closer to the door until your dog’s food bowl is eventually out. They’ll associate going out with eating, which is usually a positive activity for any dog. The idea is to get your dog to love being outside again. 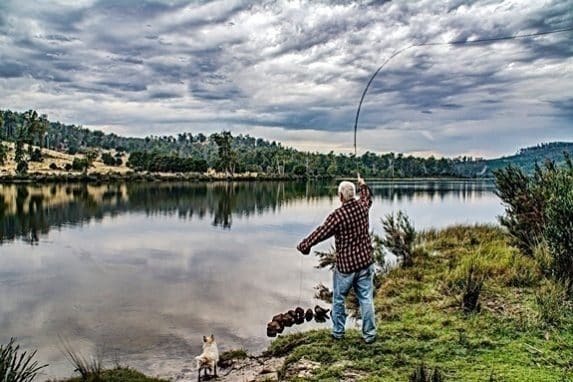 Catering to their personality and introducing things they already enjoy to the great outdoors can make this easier on both of you. It will also help to reduce your dog’s fear even faster. As you can see, there are many reasons why your dog might be suddenly afraid to go outside. Whether they won’t go in the backyard or refuse to take a walk, it’s likely something happened to them that they won’t soon forget. But, that doesn’t mean the fear has to last forever. Thankfully, in most cases, it can be reversed, and your dog will be back to their old playful ways again. Remember that dogs respond to encouragement and positive associations. It was likely a negative association to something outside that triggered their fear, to begin with. If you have a dog who suddenly won’t go outside anymore, take some of these reasons into consideration. By figuring out what it might be that they’re suddenly scared of, you can start counter-conditioning them to love the outdoors once more. Why Does My Dog Have Bad Breath Suddenly?